A few months ago I was given one of these to see what I thought. To say I was less than enthused was an understatement! 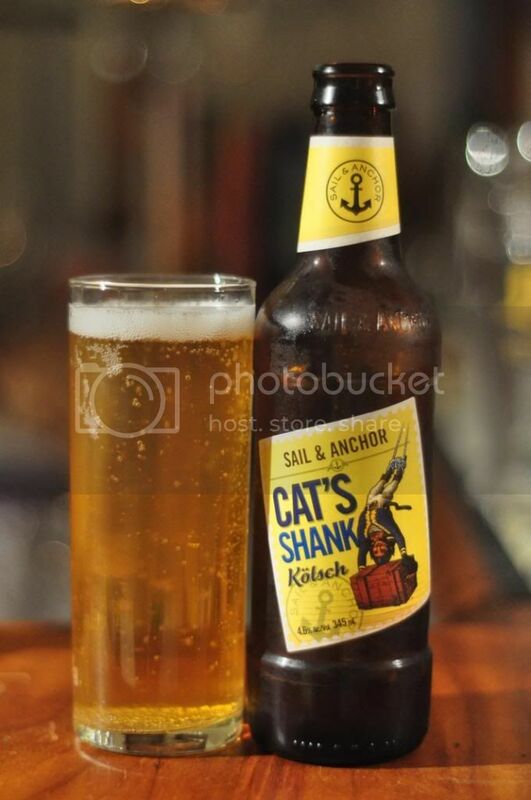 I've had the Sail & Anchor Draught and while drinkable, it's very ordinary. 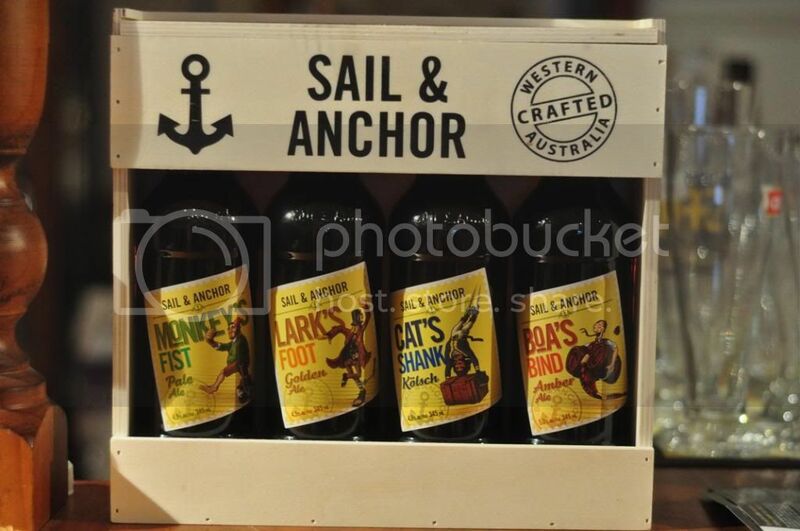 The Sail & Anchor brand is synonymous with Australian craft beer. The name comes from a brew pub in W.A. where they brewed ales on-site until 2010. Now the beers are brewed in W.A. (either at Gage Roads or Feral) and are featuring prominently in Dan Murphy's and all Woolworths stores nationwide. Now that I really need the fridge room it's time to knock these beers off. I was unsure where to start with these, so left to right seemed like a logical way to do it. 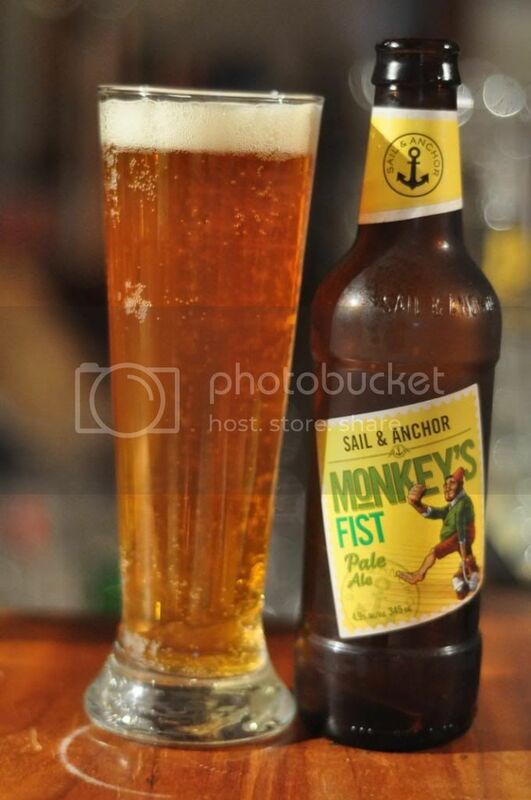 First up was Monkey's Fist, the pale ale which packs a punch (supposedly). The beer was quite a dark golden, almost amber, colour with plenty of carbonation rising to a disappointingly thin white head. The nose was very limited, only a tiny hint of apricot was evident. This is barely a pale ale. It's overly sweet, there is little to no hop character and there is no bitterness. It's a malty beer with a little apricot for flavouring. The mouthfeel isn't the worst, but the flavour really marks this beer a long way down. There's none of the punch that the back of the bottle promised. If this is the highlight of the pack I will be in for a long day! The next beer was also an American Pale Ale. This one is the Lark's Foot, it's called a golden ale and it's apparently well balanced. The colour is certainly golden, however the head is attrociously small! It's pathetic and dissipates within second of being poured. As for the nose, there's caramel matls, there's hops and it smells like a beer! Much better than the last one. 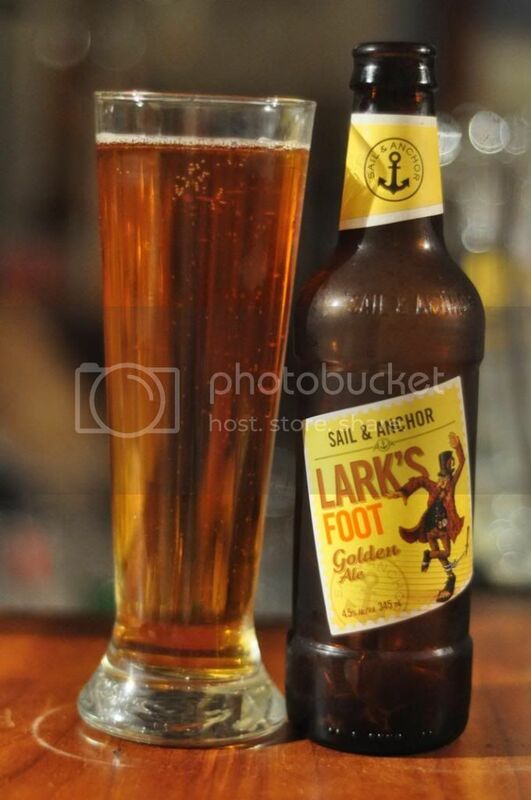 Lark's Foot doesn't let it's nose down, it's a much better beer than the Monkey's Fist. As American Pale Ale's go it's got some quite herbaceous hops, which add just enough bitterness to keep the discerning drinker interested. It's a little lacking in flavour is probably the only real criticism I can give this beer. Overall it's not too bad. With some renewed optimism I cracked the third beer in this set, the Cat's Shank Kölsch. The Sail & Anchor take on this uniquely German style is perhaps a little darker than is typical and the head retention is not as impressive. The nose is pretty mild with some citrus notes and some sour grains but not alot else. Last but hopefully not least is Boa's Bind an Amber Ale with a grip from start to finish. If it's anything like the previous 3 beers I highly doubt that, but on we press... The beer is a nice amber colour, although it's a little clear for my liking. The head is again smaller than average but there is plenty of carbonation. The nose is the pick of the bunch, both hops and malt are present in equal amounts. 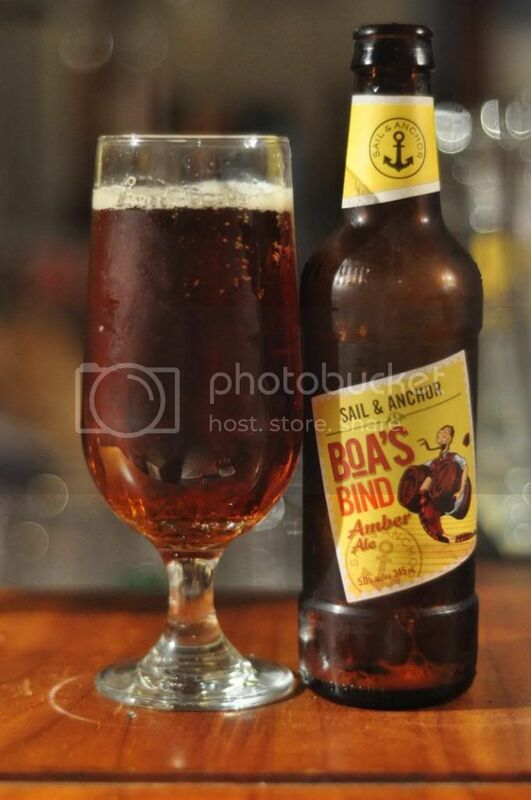 Boa's Bind is the first of these Sail & Anchor beers that can really stand up to what it claimed to be. It's a very heavily malt based beer with just enough hop bitterness to satisfy. It's much better than the others in terms of having enough flavour although it could also be considered slightly lacking in this department. In my opinion it's the pick of the bunch. The Sail & Anchor Box gave me more than I was expecting but I still left a bit disappointed. The Amber Ale was quite a nice beer and the Kölsch was serviceable but the other two beers were a bit of a let down. All the beers lacked some flavour, which didn't surprise me. For a range of beers that are effectively Woolworths' homebrand they are not too bad. None of them are beers I would recommend but you could do worse than drinking them.